The Daughters of Liberty displayed their loyalty by supporting the nonimportation of British goods during the American Revolution. They refused to drink British tea and used their skills to weave yarn and wool into cloth, which made America less dependent on British textiles. The most zealous Daughters refused to receive gentleman callers who were not sympathetic to the patriot cause. It is not in the still calm of life that great characters are formed. The habits of a vigorous mind are formed in contending with difficulties. Great necessities call out great virtues. The Revolutionary War brought women into many new causes. Although women’s organizations had begun to appear in the late 1600s, it was not until the mid 1700s that these organizations involved politics. The Daughters of Liberty proved that women’s involvement in politics could be beneficial to the country. They were relevant in the shaping of our American history. During wartime, women have historically been called upon to show their patriotism by scrimping and saving. In many cases, as in the Revolutionary War, food and resources were very scarce because the Colonies were still largely an agrarian economy, and most men who worked in the fields were away fighting. The Daughters of Liberty consisted of women who displayed their patriotism by participating in boycotts of British goods following the passage of the Townshend Acts. 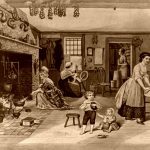 Since women often purchased consumer goods for the home, they became instrumental in upholding the boycott, and ensured that women did not purchase British goods, particularly tea. In support of the nonimportation movements of 1765 and 1769, the Daughters used their traditional skills to weave yarn and wool into homemade cloth they called homespun, which made America less dependent on British textiles. Mass spinning bees were organized in various colonial cities, and the Daughters advanced that cause most effectively. In January 1770, 538 Boston women signed an agreement, vowing not to drink tea as long as it was taxed. Proving their commitment to “the cause of liberty and industry,” they openly opposed the Tea Act of 1773, and experimented to find substitutes for tea. Discoveries like boiled basil leaves to make a tea-like drink helped lift spirits. In 1774, these women helped influence a decision made by Continental Congress to boycott all British goods, which was due in large part to the Daughters of Liberty, who were determined to reach demands for homemade clothing. Although it is not often recognized, the organizations formed by women were very also influential during the war. Women also played a large role during the war. Clothing and other materials were needed to clothe Patriot soldiers, so women got together to spin and sew uniforms. When militias appealed to the public for uniforms and food, homespun garments and farm crops came from patriotic women. Women also stepped forth to fill holes left by fighting Continental soldiers, and performed tasks formerly reserved for their husbands, such as farming and running a business. Many men would have returned to bankruptcy after the war had it not been for the efforts of their spouses. These newly independent women also had to stand up for themselves and their families when confronted by British soldiers. After the men went off to fight in the war, American women, children, and the elderly were frequently faced with the occupation of their homes, churches, and government buildings by British soldiers. With all the war, violence, and fighting between the French, English, Americans and Native Americans in the past, colonial women had learned some sort of self-defense. They knew how to threaten force and even kill someone if necessary. Guns were owned by few, so women grew accustomed to using axes, knifes, gardening and household tools for protection. The country which we lately traversed, about fifty miles in extent, is called neutral ground, but the miserable inhabitants who remain are not much favored with the privileges which their neutrality ought to secure to them. They are continually exposed to the ravages and insults of infamous banditti, composed of royal refugees and Tories. There are within the British lines lawless villains, who devote themselves to the most cruel pillage and robbery among the defenseless inhabitants between the lines, many of whom they carry off to New York, after plundering their houses and farms. These shameless marauders have received the names of Cow-boys and Skinners. By their atrocious deeds they have become a scourge and terror to the people. Numerous instances have been related of these miscreants subjecting defenseless persons to cruel torture, to compel them to deliver up their money, or to disclose the places where it has been secreted. It is not uncommon for them to hang a man by his neck till apparently dead, then restore him, and repeat the experiment, and leave him for dead. 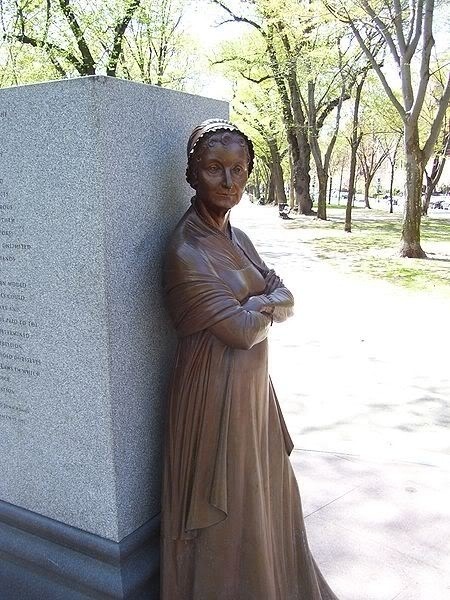 Sarah Bradlee Fulton has been called the Mother of the Boston Tea Party, because she helped a group of Boston citizens disguise themselves as Mohawk Indians before the Boston Tea Party. Her brother, Nathaniel Bradlee, was a patriot and many meetings were held in his home. Phoebe Fraunces was George Washington’s black housemaid. Her lover, Thomas Hickey, was one of General Washington’s bodyguards. Hickey had been convinced to join the British side and was conspiring to kill Washington. Hickey asked Phoebe to poison Washington’s peas, and she agreed in order to learn Hickey’s plans. She informed Washington and in the presence of Hickey, he threw the poisoned peas out an open window into the yard. Chickens ate the peas and died immediately. Hickey was convicted of conspiring to kill the General and was hung. Esther Reed was a London-born woman who worked to raise more than $300,000 in Philadelphia with three dozen women, who went door to door. Esther organized a women’s group, who used the money to sew linen shirts for the soldiers of the Continental Army. She was married to Joseph Reed, one of George Washington’s aides-de-camp, and later a delegate to the Continental Congress. Young women also fought in the war, wrote pieces for the local newspapers about the war, held scrap drives, and even made cartridges. Sybil Ludington, the 16-year-old daughter of a patriot general, commanded a Patriot militia unit and rode over 40 miles in the dark of the night to wake the Minutemen. 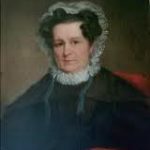 Rebecca Flower Young supported her family by making flags at her shop in Philadelphia. One day, General Washington asked Rebecca to make a flag of his design for use by the troops. The flag he designed became known as the Grand Union Flag. It was a symbol of the determination of the United States to become independent of England. After the war was over and the government began to write laws and the Constitution, women began to focus on changing the common law of male superiority. Abigail Adams wrote a letter to her husband, who was at the Continental Congress. The letter pleaded for him to Remember the Ladies when writing the new Constitution. He insured her that the ladies would be taken care of, but the common law would not be changed. But enlightened thinkers knew that a republic could only succeed if its citizens were virtuous and educated. If the country were to survive, women must be schooled in virtue so they could teach it to their children. This idea of an educated woman became known as Republican Motherhood. The first American female academies were founded in the 1790s. These patriotic women risked their lives and reputations to fight against tyranny; they should be remembered as heroes. They were willing to resort to extralegal means if necessary to end the series of injustices imposed upon the American colonies by England. They were American patriots, northern and southern, young and old. They were the Daughters of Liberty.